Speeding up with technology, making better with humans! Using machine translation software may not work for you. Universal Translation Services uses human translation in all cases, and all projects go through 3 distinct phases: translation by a human linguist, proofreading and editing by another linguist, quality checks by our Q&A team. We do not use MT in normal projects, only in special cases where the client specifically asks for it, and even then, we may or may not use automated translation. If you feel like your project could use this type of translation, please ask our project managers about it and they will advise whether it will be a good fit or not! With the increasing demand for translation service providers, increased workload, and fast-paced world, the need for machine translations has significantly escalated. Machines that ease the workload, are now getting immensely popular among translators as well. They’ve boomed owing to their magnificent features, conservation of time being the foremost feature that has captured attention on the global level. Universal Translation Services, which is always up to date, has new technologies on board and harbors tremendous workforce, has earned a name for itself on the global level. 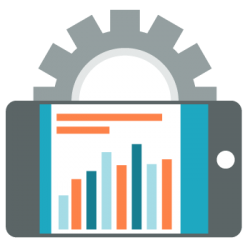 If it is always in line with the rising trends, then how can it lag behind in the utilization of efficiency of machine translations? We are equipped with state of the art automated translation facility that gives the most accurate results. Machine translation software has remarkably reduced the work burden and helped translators in yielding the best results in the shortest time possible in some cases where the clients wanted MT to be used. Machines are made to assist humans, they can’t take over the human capacity, they just increase the overall productivity. It is estimated that MT has 60 to 80 percent translation accuracy. Whereas human translation, on the other hand, can be 100 percent accurate with zero percent chance of errors. At UTS, MT is therefore utilized only to enhance the end results ensuring the accuracy of the highest order. Humans can make errors too, but if coupled with the right kind of translation machine the errors are not only minimized, but the best outcome is also ensured. We at Universal Translation services have utilized the very same formula. It’s been years now that we have mastered the art of coupling the two together to get the desired results. UTS is second to none, there’s nothing like it. You will know once you tap on our door for our preeminent services. The answer to the debate machine translation vs human translation is still unclear. A few years back MT was looked down upon due to the inefficient sloppy results it produced. But its due importance has been realized in the recent years. Its utilization has thereafter gained momentum and have spread across the translation agencies like fire in the jungle. But it is the proper use that differentiates one translation agency from that of the other. UTS is well aware of its importance, use and accurate application. Consult us now and get your translations done in the shortest time possible. Why use machine translation software? Due to its efficiency of use, automated translation helps us meet deadlines. It doubles up the translation process, saving time, both yours and ours. Manual translations take a bit longer in processing, especially if certain meanings have to be looked up for in the dictionary. MT software, on the other hand, translates the entire document in seconds. We do have translators, the expert in their domains delivering better quality results, but MT is being used in some projects where clients specifically asked for it for cross checking and saving time. MT is quite resourceful in stimulating new and better ideas, igniting the creative element of a translator. It is quite possible that a translator can get short of words or better ideas, this is where an MT’s considerable role comes into play. If say for instance a translator has to translate a literary document whose tone, style, character and main essence has to remain intact while the translator should use his creativity in making the piece of text culturally relevant using native phrases and idioms then MT helps him a lot in retaining the true gist of the text. Not forgetting to mention that MT is used just for aiding purposes and does not stand alone on its own. Who would want to hop on stairs when you have the lift? Achieving milestones, through better and faster approach! Once we give a head start to the project with the large volume of data with automated translation it bit becomes easier to redo it. 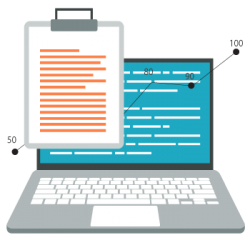 The machine-translated version is proofread and edited by translators for augmenting the level of quality of the translated document. 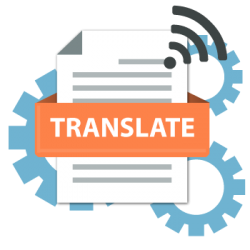 If you plan on an automated translation of your website and want to know which machine translator software would suit you better, we are here at your service. We will not only get you to the right kind of software but its proper use as well. Or better yet if you want us to take care of your website translation with the aid of an MT we do that too. In order to find out if MT combined with human resource would suit you or not, contact us now. We will guide you and link you to our skilled translators, who will give you a better understanding of it. What do service providers have to say about machine translations? As much as relying completely on automated translation may be a foolish move to make to some extent is certainly a clever one. The drastic improvement in translation machines over the years have garnered more positive views from the translators. “Lengthy assignments are now far easier to handle, MT gives one immense power and control both over time and field of work. UTS has given us that power and control in the form of advanced technology and state of the art setup.” – Smith, professional translator for 10 years. “As fast as today’s life is, MT helps in coping with the pace of it. They might have been inefficient in the past, they are not anymore. We have therefore taken it on-board and avail to the fullest of its capacity.” Paul – professional translator for 15 years. 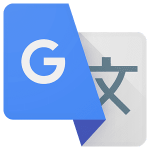 While its translations were really bad in the past (and there are a bunch of videos on the internet to prove that), Google Translate is now one of the best automated translation software which is full of features when compared to others. Using superior technology like neural translation combined with human editing, Google Translate manages to translate phrases on the fly. One of its best features is its ability to detect the source language on its own, so users can translate portions of text with a few clicks. 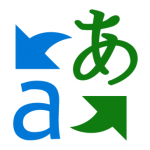 It also allows users to hoover over translated words and choose alternatives. Microsoft Bing Translator sports similar features with Google Translate when it comes to visual, but lacks the ability to let users hover over certain words and select the best translation according to their needs. Although it features less languages than Google Translate, it is good at translating short phrases in order to get the gist of the meaning. It looks like it has some issues when it comes to long phrases over 15 words in some languages (probably because it doesn’t allow actual people to add suggestions to its translation like Google), but it is still a great alternative to use when needed. Yandex Translate is a Russian based translator which is able to translate some of the main languages, including Russian. It is considered to be the best automated translator when it comes to Russian, although it is best to use with words rather than phrases. The interface is clean and minimalist, and it gives the feature to translate images on its desktop version. The ability to translate webpages is also present on the main page of Yandex Translate, and it also has the option to share the translations across social networks, which is missing on the other engines. 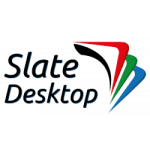 Slate Desktop is entirely different from the other translation software as it is a desktop app compatible with most operating systems. In order to use it you need to have your own desktop or laptop to install the app on. Along with its translation capabilities it also features full confidentiality for your documents, which is not the case with the other automated translation tools. Also, Slate has more features in terms of adapting with previous translation work done with the aid of CAT Tools, which may prove to be beneficial to both translator and client, as it is able to use past translations in your projects. Talking about machines, they are made to reduce human effort, but at the same time, they provide several benefits in a quicker way. The same happens when it comes to machine translation, MT is a software-based translation. Meaning it is software that translates content from one language into another. For technology so advanced, this shouldn’t have been a hard nut to crack, but quite on the contrary, MT is relatively a new approach for translation. In the initial phases, the translation process wasn’t as easy as it is today, neither was the result. However, today machine translation software just takes a moment to translate your text from and into most languages. It is an interesting fact that the first MT system was introduced in the 1950’s, and from there, evolution led to creation of Google Translate in 2006. But even that seems like a thing of past now. The technological advancement in MT system is diverted towards making it as perfect as human translations. In the past few years, speech recognition has become quite an evolutionary step in the field of MT systems. The speech recognition feature enables the software to learn from a collection of recordings and human transcriptions. The Skype translator, for instance, speaks back the conversational phrases instantly in the targeted language. The next big step in MT is NMT (Neural Machine Translation). The use of artificial intelligence in different fields of life is inevitable these days. It is of a great help considered the cognitive techniques that artificial intelligence possesses, leaves no room for errors in translation, nonetheless, it could still make error if there are phrases that are unusual or rare. Asserting MT as an equal to human translator is still not the best idea on so many levels. 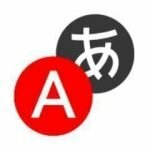 Where it’s better to avoid machine translation? As discussed above, automated translation is very useful considering its rightful use but there are certain places where it must be avoided. For legal and business purposes our translators avoid using MT. It is because they are well aware of the fact that relying on MT will give them no better results. It’s also due to the technical aspect of the said fields and failing to meet the required standards might cause clients extreme consequences. So, MT is used where UTS thinks it’s better to be used.